It was put together by former SPRT guest, J Thorn and includes stories by former co-host David Wright, and current and future guests Scott Nicholson and Colin Barnes & Sean Platt. 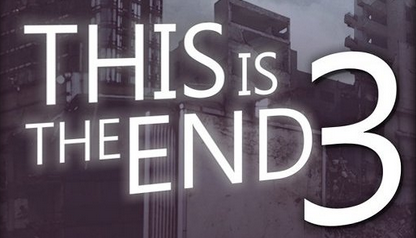 Any fan of “28 Days”, “I Am Legend”, or “The Walking Dead” will love This is the End 3! 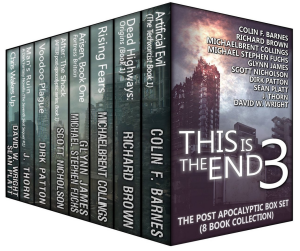 The set is just 99c and a pretty good steal if you look at what’s included. I thought I’d share it here with the SPRT community as I know you are all big readers, but also a sharing bunch. Not personally interested? Maybe you could tell your readers and friends about the box? Let’s help out our colleagues and the SPRT community as a whole.